After talking to BeLite we decided to go to Mexico to have gastric bypass surgery on 03/21/16. Next to my wife and kids this is by far one of the best decisions I have ever made. All my medical problems have reversed. No prescription meds. Feeling great. Here is before and after pictures. 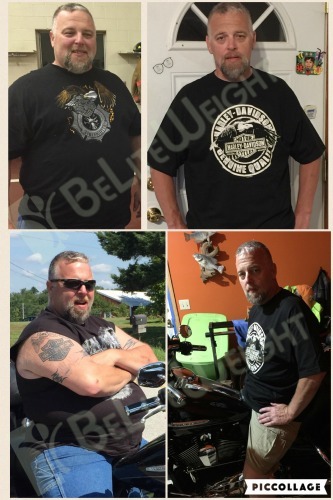 My starting weight was 343 LBS and 17 weeks later 242 LBS. THANKS BELITE!! !